Driving in the rain is hard. There are always people on the road that simply cannot drive in the rain. You know the ones I am talking about, the ones driving too fast and five minutes later you pass them crashed on the side of the road. Then there are the drivers going 20 miles below the speed limit, creating even more traffic. Then there the ones slipping and sliding all over the place because they have no traction, or at least you hope that’s the problem, otherwise they must be drunk because they simply can’t stay in their own lane. Yes, we all know that driving in the rain can be a challenge. The roads are slick with water and oils. The lanes are harder to see. The last thing you need is for your windshield wipers not to work. Living in southernCalifornia, we don’t get rain much and after a particularly long dry spell the rubber in my windshield wipers just dried out. Needless to say when it next rained the wipers were just smearing dirt and squeaking. It was so loud and distracting I had to pull over and pick up some windshield wipers because I wouldn’t have safely made it to my destination otherwise. That was the day I learned the value of good windshield wipers. Of course the ones I got from the gas station were not much better and I ended up ordering high quality wiper blades that lasted years. 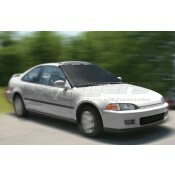 I never had an issue again, now when it rains I know that the wipers are reliable and will keep my windshield clean. They help ensure a safe drive even in the slippery rainy conditions of the first rain of the season. All that’s left is the memory of the horrible sound like nails on a chalkboard. Do not let this happen to you, get quality wiper blades at Dyersonline.com.